When marginalized people express anger, point out systemic oppression or lament about something in their life relating to their identity, they are taking a risk–they are putting themselves in danger of being physically and emotionally hurt. As a woman, I have experienced this countless times when talking about the way my gender is represented in the media or asking someone to refrain from using derogatory words that have been used historically to demean and dehumanize women. I have attempted to stay vocal about my experiences as a woman growing up in an evangelical church and am learning to be vocal about the other ways in which the capitalist, hetero-normative, transphobic, white supremacist, patriarchal society we function in marginalizes and oppresses anyone who is not rich, white, straight and a cisgender male. I was fortunate to grow up in a home where my experiences of men in the church not listening to me, or feeling like I had to bite my tongue around men who still think kitchen jokes are funny, were heard and valued. However, I have been silent about several aspects of my identity. I am only going to discuss one of those aspects here. My identity is fluid: its different parts interact with each other, overlap and are all an integral part of who I am. Some of these aspects are chosen, such as being a poet and a writer; others are not. The first time I told someone about this specific aspect of my identity, I couldn’t find the words to articulate exactly what I wanted to say. I ended up explaining to her who I’m not, rather than who I am. So, I am learning to take on labels with humility, grace and a little bit of wisdom. I am gay. This is, of course, not something I have chosen, but something I have always found beautiful. My coming out experience has been a bumpy road; it’s not something I am always ready to discuss or even lament about. Growing up in a conservative, evangelical church, homosexuality was always referred to as something one struggled with and taught to be silent about. This summer was the first time I began speaking about my homosexuality at all. It is both terrifying and liberating. There are extended family members who will never know about this aspect of my identity, because it would put my life in danger. There are people I grew up with who will either refuse to come to my wedding or who I will not invite for my own sake. It is very likely that I will never set foot in the church I grew up again. There are obvious reasons for this, but one of them is that their approach to homosexuality is one that teaches and condones homophobia and violence against the LGBTQ community. Young men and women who terrorize and beat up LGBTQ peers do not conceive this hatred on their own; they are taught to fear and hate from a very young age. I am always putting myself in a little bit of danger when I tell someone I am gay. Fortunately, no one I have told has disowned me or responded negatively, but this is also the result of carefully choosing who I am telling. I know GC is a safe place for me to come out. Goshen has a way of not merely tolerating the voices of marginalized people, but making them important and listened to. The United States is ridden with a horrific history, but so much of the change the world needs to encounter lives on this campus. As one gay woman, I find so much hope in the fact that I feel comfortable and safe coming out in such a public manner. It is a testament to the school that I do not feel as though I am putting myself in danger by revealing a part of my identity that is not tolerated in many facets of society. 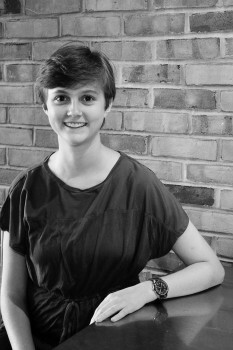 Hayley Brooks is a sophomore English writing major.